Several weeks ago, I had an opportunity to join Melissa Grelo, co-host of CTV’s The Social, at an exclusive event at the Spa My Blend by Clarins at the Ritz-Carlton in Toronto. 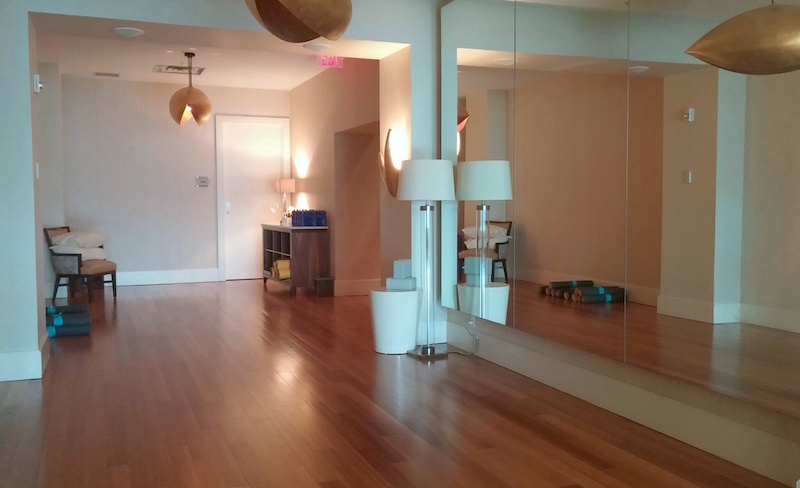 During this "Breathe Easy" spa retreat hosted by hydraSense, we discussed the importance of better breathing and its impact on your health and your mind. Then we enjoyed a special yoga class led by Kathy Parsons, a yoga instructor with a speciality in staying connected to the breath. The yoga room was beautiful as we were able to bask in natural light and learn simple breathing techniques that can be easily incorporated into our daily routine. 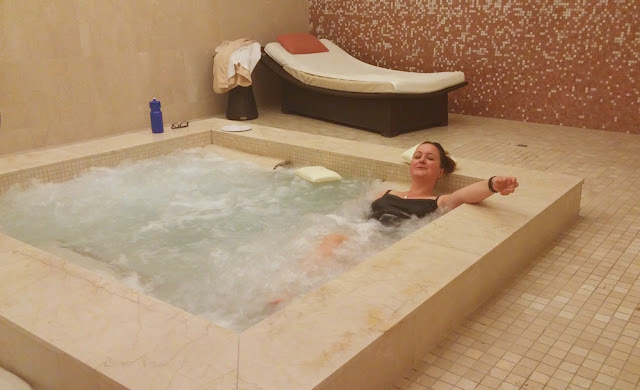 Then, while we waited to be called for a massage, I joined my friend Deborah in the green-tea infused vitality pool for some relaxing hydrotherapy. It was just what I needed after a long day at work. 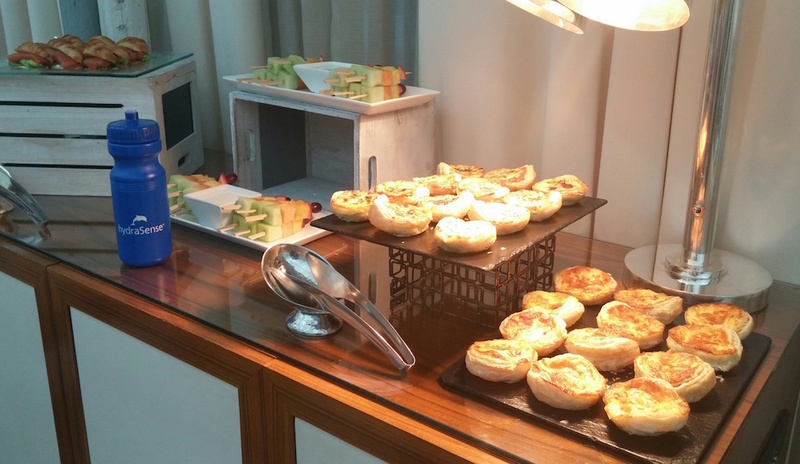 Following our heavenly afternoon of luxurious pampering, we made sure to rehydrate and replenish with some delicious food. Overall, it was an insightful afternoon and I thoroughly enjoyed the Spa My Blend experience. It was neat to learn how Melissa Grelo has been using hydraSense for several years, something that has come in handy while living on a farm and working with horses where she is constantly inhaling dander, dust and other debris. It was also great to further fine tune my yoga breathing technique with Kathy Parsons. 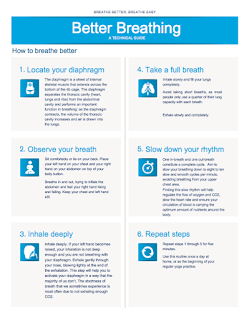 For those of you who may be interested, hydraSense has shared the following guide on Better Breathing. Click on the thumbnail below to download a copy. 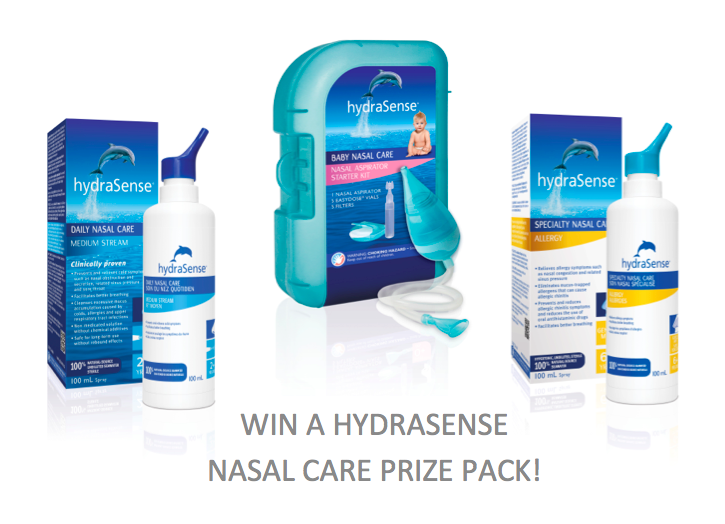 We each left with a lovely bag of goodies, including bottles of hydraSense Nasal Care and a Nasal Aspirator Starter Kit. I tried the Daily Nasal Care Medium stream a few weeks later when I was coming down with a cold since it works by flushing out excessive mucus accumulation and helps to relieve nasal congestion. I like that it comes from a 100% natural-source of sterile, undiluted, desalinated seawater, and is non-medicated, preservative and additive free. Children over 2 years of age and adults can use hydraSense Medium Stream at least twice a day (morning and evening) and 4 to 6 times a day when cold or allergy symptoms are present. Initially, the sensation was unusual and slightly unpleasant but I found it did help to somewhat ease nasal congestion and I was more used to it after a few days. For more information on their full product line, visit hydrasense.ca. Simply complete the Rafflecopter form below. Open to Canada only, excluding Quebec. We have allergy sufferers in our home and I think this product would really help. Would love to win to try it out before buying. Thanks for the chance. we would benefit as my son has very bad allergies and I often get sinus and nasal congestion! Thank you for the giveaway! I have sinus problems and would love to try the products. I'd love to try this because both my kids have bad allergies and I think this would help! I have allergies, sinus problems and would like to try this. I have a ton of sinus infections and am allergic to the sprays that cures them so would be great to try this! Would love to try it for when my daughter gets colds, she always gets so stuffed up she coughs to the point of sounding ill. Its terrible...... Would love to try this. We were hit with a lot of colds this past winter, and I would love to try anything that would more naturally help me battle them. My little guy suffers from allergies, asthma and frequent colds and I would love to try this with him. This sounds like the perfect way to help with AndiePandie's allergies ! My sinuses gets so dry in the winter would love to try this. We have seasonal allergies so would love to try this. I would love to try this for my allergies. Nasal congestion is common here, this would be a great opportunity to try Hydrasense! I love Hydrasense and feel it does the best job at clearing the nasal passages when allergy season hits. All seasons there seems to be something that can trigger allergies. I know Hydrasense helps lessen the symptoms. My nose is constantly stuffed up because of allergies and I think these products would really help me breathe better.